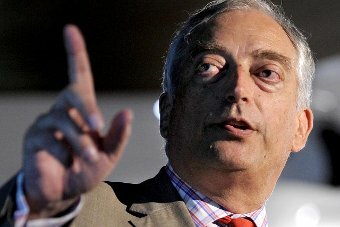 This entry was posted in environment, Environment and Ecology, politics, SciBlogs, science, Science and Society and tagged Australia, Christopher Monckton 3rd Viscount Monckton of Brenchley, climate change, Drum, Environment, global warming, Lord Monckton, Melbourne, SciBlogs, University of Western Australia. Bookmark the permalink. Climate deniers and Evolution deniers use the same tactics. They really do copy each other’s playbook. It’s uncanny how similarities pop up again and again. And we should keep this comparison in mind when these local organisers demand that scientists debate Monckton at public venues. We should recognise this is just their way of attempting to get credibility for minority ideas be getting a place on stage with the real experts. Deniers are always ready to “debate”. They are not so ready to enter the scientific arena where they have to support their position in front of people who are specialists in the relevant field. It’s all showmanship rather than substance. Belatedly a brazen horse dropped in to Monckton’s pad (or was that an iPad) to find the jammed typewriter inked and ready to fire missives. The planet fills with oddities and strange Lords and Ladies in their fine garb. The people are looking on in bemusement with their eyes tuned finely to the outcome of David Beckham’s child naming decisions, whilst the honest hacks at the Guardian expose the truth at the newscorp debacle. Obama and QE3 is a different modality. Oh, this is sweet. I hope this gets a lot more publicity. Excellent idea. Drag the slider slowly across and enjoy.